As great as it can be to enjoy quality time with your dog, there are often times when you might have to leave your dog at home. These include times when you’ve got to get to work, school, or some other place where your dog certainly would not be welcome at. 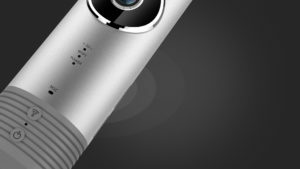 This is where a quality smart camera can come in handy. You can use such a camera to review what is going on inside your home. This is to see that your dog is safe, but can also record some funny or exciting times with live video. You can use this to check on what your dog is doing whether it entails sleeping, eating, or doing anything that dog might get up to during the day.You can even use this to see how other people in your home are taking care of your dog if applicable. 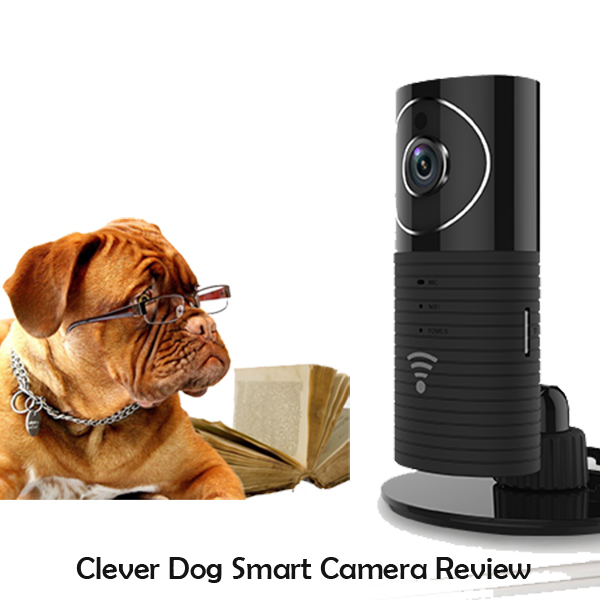 The Clever Dog Smart Camera is one option that you can use when keeping a close eye on your dog. It is easy to apply in your home and provides you with a clear view. The Clever Dog Smart Camera is made with a great body. This comes with a slight rectangular look that you can add to any counter or another flat surface. 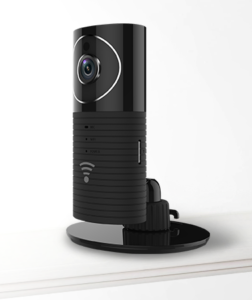 The camera will then link up to an appropriate network in your home. It can link to a Wi-Fi signal, for instance.This will record everything that you see in your room in real time. You can then get onto an application on your iOS or Android device to quickly review what the camera is posting. This gives you a simple arrangement that is easy to handle without being too complicated or otherwise difficult. This camera works by linking to a proper Wi-Fi network. You can get it powered up by using a USB power cable that comes with it. Meanwhile, the fastening device can help you get it onto a flat surface while even using a rotating feature that lets you adjust the overall position of the camera. A wide-angle lens is also used on this camera. It offers a larger view of a room at a given time. You would have to display your camera or smartphone in a landscape position for the best possible view. It also has space for an SD card so you can save video information on it. A 32 GB card can capture up to seven days of video. You can then access your camera with a simple setup by using an application on your mobile device. This can be read based on a particular code that comes with your specific camera. As you log into your application, the program will review the camera that your account is attached to and then load up what it is reading in real time. This works provided that you have the right code and that there’s an online connection on both ends. This lets you view your dog at any time. It is a very convenient and useful program for your needs. This camera also offers a great setup where you can interact with your dog by voice. Specifically, you can use your app to speak into the camera. The app will record what you are saying and play it back through the camera. 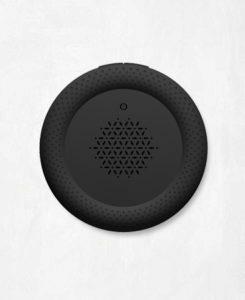 This means that your voice can be heard by your dog even when you are out somewhere. This is useful if you notice your dog is doing something and you want your pet to stop it for whatever reason. The sound that comes out of the camera speaker can move through the room quite well and without any obstructions being an issue. 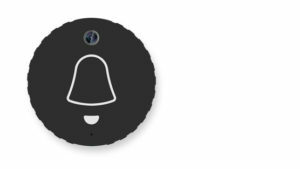 The motion detection support feature will review things that move around in your home. It can capture dynamic images automatically. These include images that might entail more movement or changes than what your home is used to having. You can configure your app to report on whatever movements take place in your room so you can get alerts if anything unusual happens. The threshold can be altered to ensure that there are no false alarms coming out of your app. You can also get a closer view of your dog even when it is dark in your home. The night vision option allows you to quickly illuminate what is in your room. This lets you see what your dog is doing when it is dark inside the house. This helps you to see that your dog is safe and not at risk of harm. The sound that comes out of the camera when you speak into the app is very clear. The app that links up to this is very easy to use. This is also very easy to apply and set up for use in any part of your home. You can quickly capture still images through the appropriate app that links to the phone. The app even lets you sort images based on when you took them. The resolution on the camera is relatively weak at 720×576 with just 15 fps. The Wi-Fi connection for the camera only works as well as the online signal in your home can work. Be sure the camera is placed in a spot where Wi-Fi signals can easily be found and read. You also have to watch for where you are placing it as your dog could still try and push it off if it is too accessible. Make sure you take a look at how well the Clever Dog Smart Camera works for when you need to review what your dog is doing at home. 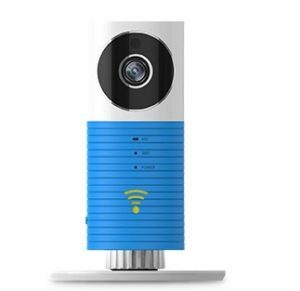 This is a convenient and helpful camera that is easy to handle and allows you to see what is happening in your home with ease. This can help you to ensure that your dog is safe and that you know your beloved friend isn’t going to get in any trouble at home.